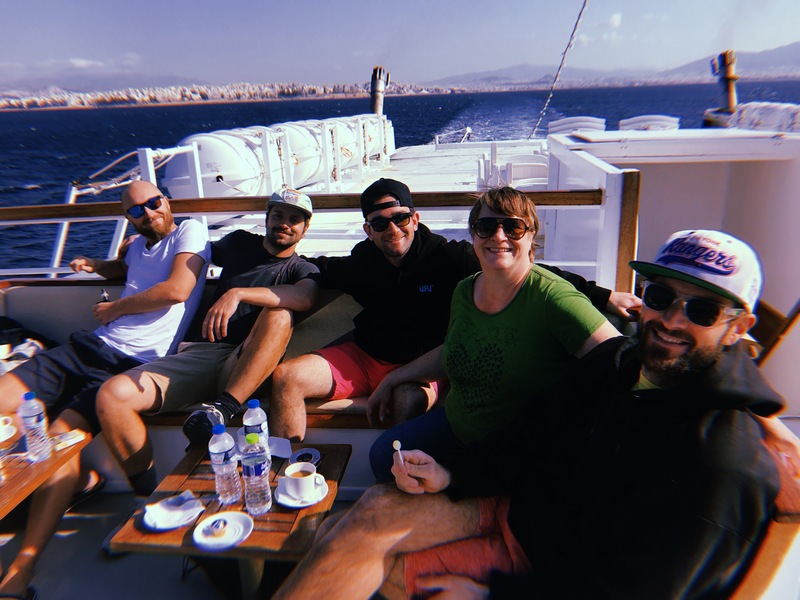 Our Office Manager, Claire, gives her account of this year’s offsite, and tells us what it taught her about the values of Remerge. The Remerge Company Offsite is an annual event that sees every employee from across our seven global offices fly to the HQ in Berlin for a series of workshops, before we all jet off together for a relaxing holiday in an exciting foreign destination. 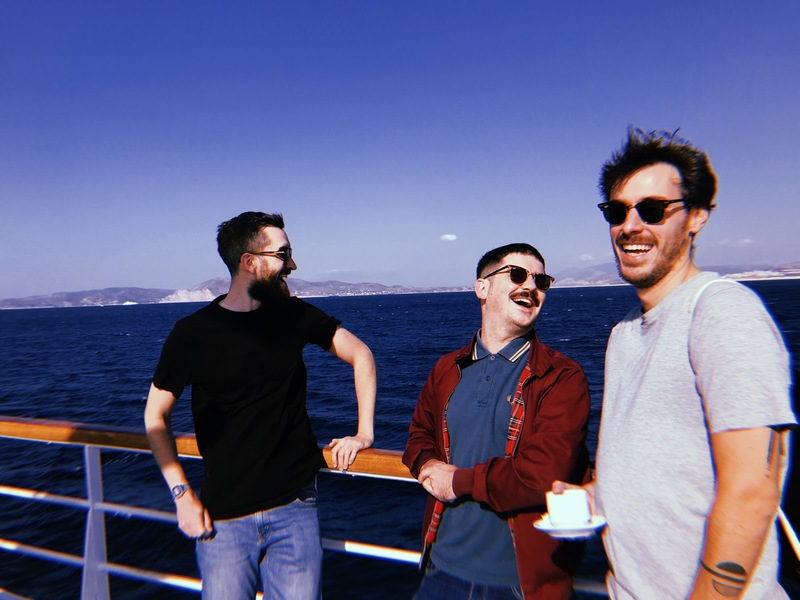 At the time of the first offsite, which took place in Lisbon in 2014, the company was so small that everyone was able to stay together in one flat and could fit easily into restaurants without even making a reservation. Four years on, the company now has almost one hundred employees globally. As the team expands, the logistics of organising an event like this becomes trickier - but we don’t let that deter us. As the company grows, the offsite becomes even more crucial. I’ll drink to that, Pan! And this year the drink in question would be ouzo because we were headed to Greece! 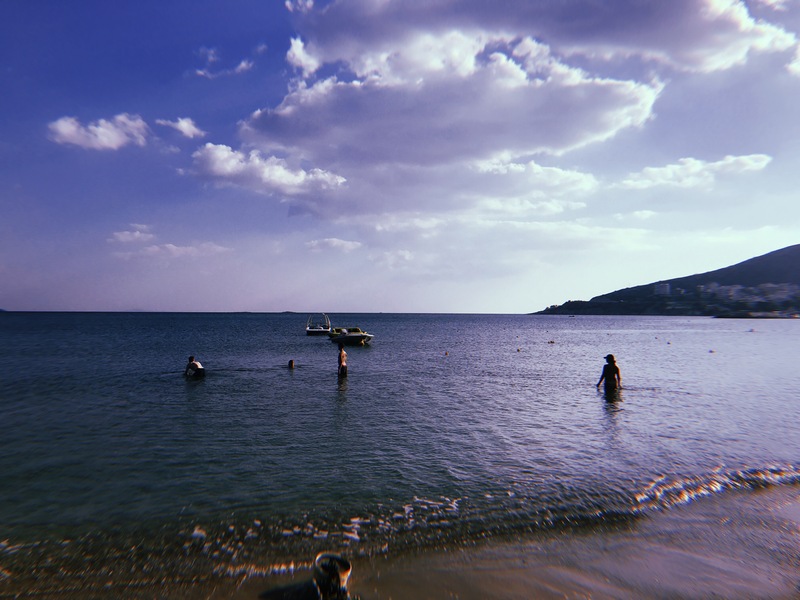 Our wonderful Events Manager, Kalila, had spent ten months organising an offsite to top all offsites and after the amazing trip last year, I couldn’t wait. 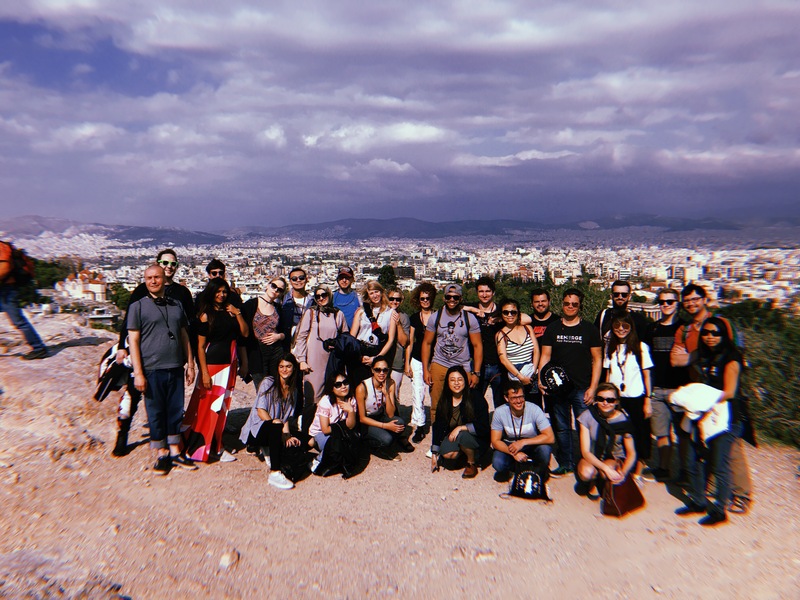 So, after a week attending workshops in the HQ on everything from conflict resolution to intercultural communication, we boarded a plane from Berlin to Athens. 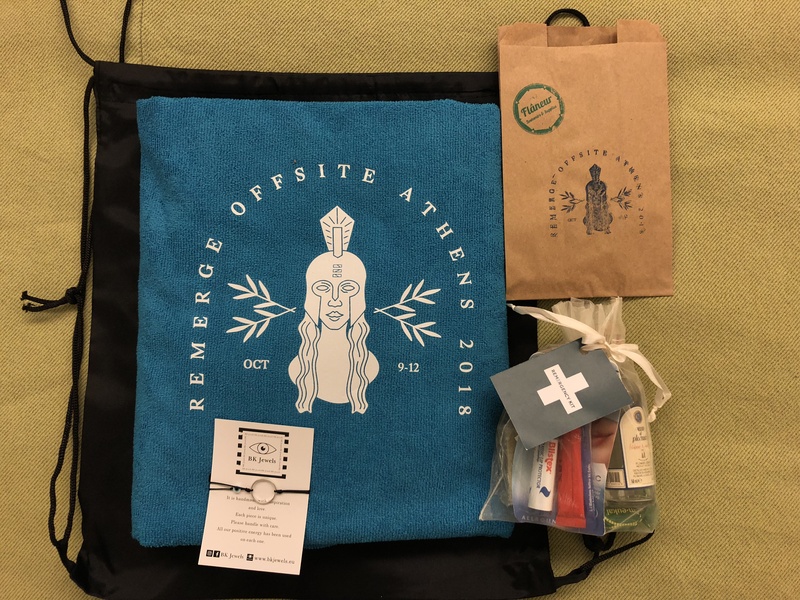 Arriving at the hotel, we were greeted with a champagne reception, Remerge-branded beach towels, and a “Remergency Kit” with lip balm, hangover meds, bandaids, and ouzo. It seemed the Events Team had thought of everything, and this would become even more apparent as the trip continued. Each day, there was a range of activities to suit everyone no matter what they were in to. History buffs could take a tour to Poseidon’s Temple to learn more about the Ancient Greeks, while thrill seekers could go tubing in the ocean and come back feeling exhilarated. 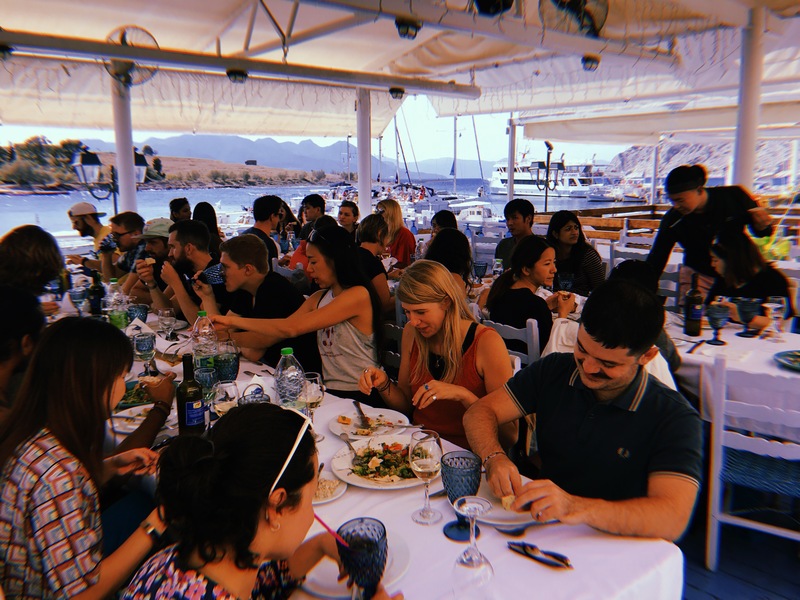 The inclusivity of the offsite was encapsulated by the boat trip we took on day two. The bottom deck was layered with couches and pillows where you found Remergers napping, reading and catching up on some emails. Next floor up you found people sipping coffee in the sun and chatting at round tables and taking in the view. Move on up to the top deck and you joined a dance competition with loud music, drinks and people feeding seagulls as they flew along beside us. It was paradise and everyone was having the time of their lives. I wanted to enjoy myself, but something major was getting in the way. I was slowly realising that a medical issue that had started off small had been worsening by the hour and I knew that I needed more than an aspirin. I had made an appointment with a local doctor for the next day, but a short while into the boat journey, I realised that the infection was spreading and I needed to get antibiotics into my system as fast as possible. At the same time, I didn’t want to cause a fuss. I knew that alerting the events manager could mean obstructing the schedule for the day. We were on a boat. We were supposed to be island hopping! I didn’t know what to do. Finally, I spoke to one of my colleagues and asked for advice. I found out later that I was overheard by one of the tech guys and it was him and my manager who urged me to go to the hospital, to put my health first and not just join in because I felt obliged to. I told the events manager what was going on, and she immediately said all the right things. “We’ll have a taxi waiting for you when we get to the next island, it’ll take you straight to a local clinic.” She exercised total discretion throughout the whole process - though the same can’t be said for me! I felt so relieved after my confession that soon I was telling everyone and showing my issue to anyone who dared to look. I felt so supported. I think some were put off their lunch though. Sorry about that. Because what I discovered this year is that when things go wrong, you find out just how deeply your company cares about you. In my time of need, they made me put myself first. For them, anything else simply wasn’t an option. 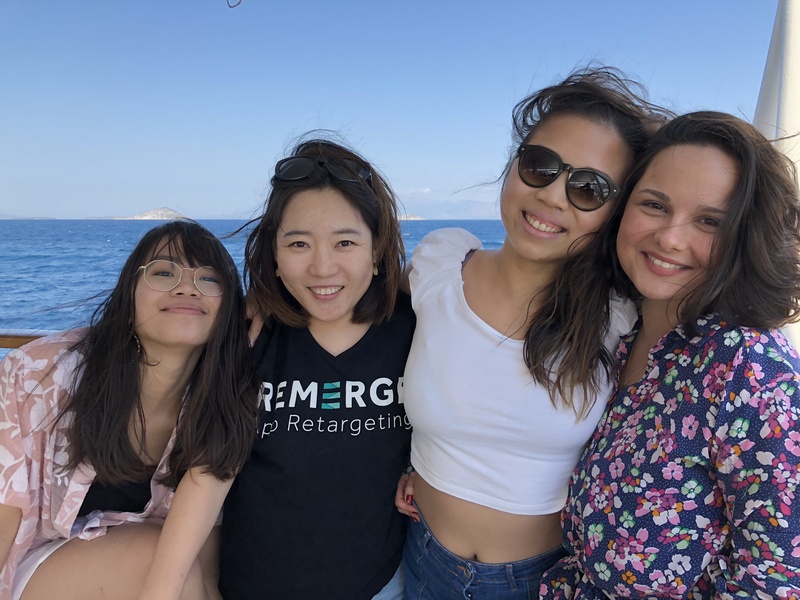 As well as an annual company offsite, Remerge offers its employees flexible vacation and regular work-from-home days. We were recently voted one of LinkedIn’s Top Startups. You should join us, we’re hiring!.